UPDATE: WE HAVE OUR WINNER! Congrats to Michelle Sindelar, and thanks to everyone else who entered! 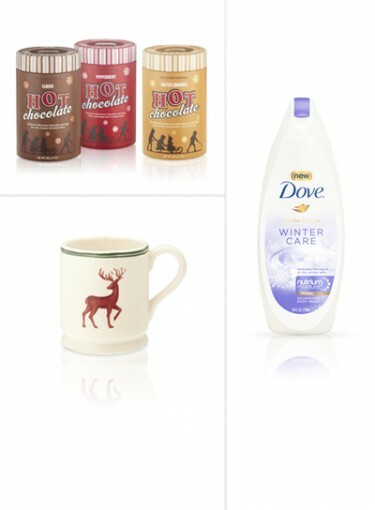 We’re giving away an entire winter’s supply of Dove limited edition Winter Care Body Wash (three large bottles) and a Williams Sonoma mug & hot chocolate set to one lucky winner! To enter for your chance to win this prize, just leave a comment below or on our Facebook page with your name and email address (for contacting purposes only).